meals, will make sticking with those healthy eating habits that much easier. 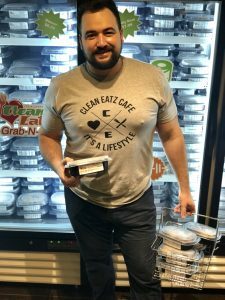 Owner Will Russ has been a proponent of meal planning and prep for years, long before he opened Clean Eatz this past spring. We are all busy, and few of us want to spend our weeknights grocery shopping and cooking. We just want something quick and easy. And, for many of us, that means settling for meals that are not as nutritious or delicious as we’d like. Russ said that customers appreciate Clean Eatz for a number of reasons. Whether you are trying to lose, maintain, or gain weight, Clean Eatz has meal options to help in achieving those goals. And for those on a budget, affordability is key! With over 40 locations, Clean Eatz has emerged as one of the most affordable meal prep companies in the nation, offering a variety of meals accommodating varied lifestyles. “This works because we’ve taken the guesswork out of meal prepping, we do the thinking for you,” said Russ. After struggling with his own weight and relationship with healthy eating habits, he and his partner Jamie found a local Clean Eatz Cafe in Greenville, North Carolina. “Meal prep made losing weight and staying on track easy: I looked forward to the meals I was eating.” Since starting his journey with Clean Eatz, Russ lost over 75 pounds. Of course, the meals taste great, and Clean Eatz offers a surprising variety, with a new menu each week including six freshly prepared refrigerated meals, as well as over 40 different frozen options in their grab & go section. The vast majority of the meals are under 500 calories, with the exception of higher protein meals. “It’s important to look forward to your meal prep, otherwise you probably aren’t going to stick to your meal prep,” said Russ. The Blue Cheese Buffalo Chicken Sweet Potato Bowl was delicious and robust—comfort food without the usual guilt. The Parmesan Peppercorn Beef with potatoes and broccoli were tender and flavorful. The meals can be prepared in the microwave in just two-to-three minutes. Alternately, they can be reheated in a skillet, or transferred to an oven safe dish and warmed in the oven. Russ and his partner Jamie are fairly new to Nashville, having moved here in the summer of 2017. Until then, Russ worked at his family’s document management company for fifteen years. When they sold the business, he knew he wanted to make the leap to the food service industry. He just wasn’t totally sure in which direction he wanted to take it. When Russ saw firsthand how meal prep changed his life for the better, he wanted to offer that to others. It was important to find a city that could support the five or six Clean Eatz locations he hopes to open in the future. The couple also wanted to find a city that was culturally similar to their home in North Carolina. Russ got involved in the Nashville LGBT Chamber of Commerce soon after moving to Nashville. He’d been involved in the Greenville Chamber of Commerce but found the Davidson County Chamber to be too big for him to effectively network or have an impact on the work they do. He finds the Nashville LGBT Chamber to be much more manageable. He first joined to network and even make friends, which is a common reason for people to join. In fact, O&AN readers chose the Nashville LGBT Chamber as their favorite social group in 2018’s “Faves and Raves.” Russ knew that the LGBT Chamber does a lot of good, providing advocacy and educational organization that benefits our members and the broader LGBT community. Russ has become increasingly involved in the Chamber, and Clean Eatz is hosting Brewing Up Business on January 17, 2019. They will have spread of food and samples, including items from their meal prep, as well as their café. It’s a fantastic opportunity for members or anyone interested in checking out a Chamber event to come mix and mingle with others in the LGBT business community. 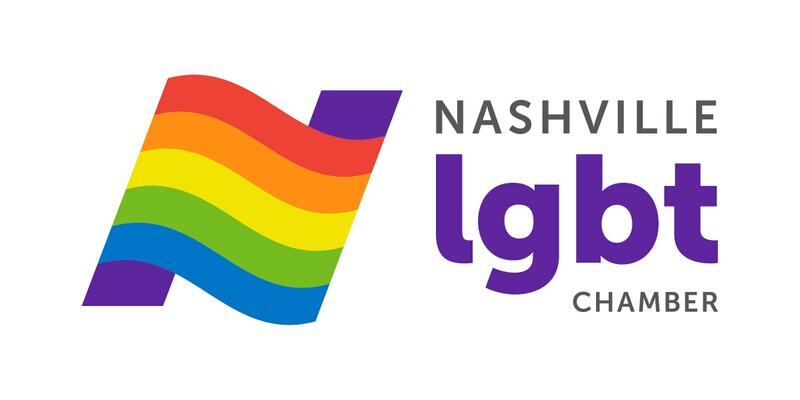 One of Russ’ resolutions for 2019 is to become an LGBT certified business with both the Nashville LGBT Chamber and the National Gay & Lesbian Chamber of Commerce (NGLCC). Russ said that he doesn’t consider himself disadvantaged as a business owner because he is gay. However, he recognizes that certification gives him a leg up in the very competitive food industry. “It’s not about me as an individual becoming certified,” he explained. “It’s about my business becoming certified and my team having greater access to opportunities because of that certification.” NGLCC certification provides advantages to LGBT-owned businesses to help them grow, whether they are new, like Clean Eatz or have been around for years. Russ is determined to get that NGLCC certification to help expand his business and become more profitable. But this venture is about more than that. He is determined to stay focused on helping people live longer, healthier lives. Positively impacting the world around us is his primary motivation for making Clean Eatz a success. When planning more stores in middle Tennessee, he talks about more and more people eating well in order to live healthier longer lives. He talks about creating more opportunities for his team and providing healthy affordable meal options for customers across middle Tennessee. Russ encourages readers to try Clean Eatz to focus on healthier eating. The meals are $7.60 or less per meal, and customers receive volume discounts at 10, 15, and 21 meals. Over the next few months, customers in surrounding neighborhoods and towns will have access to convenient satellite pickup locations! Russ also has a special offer for O&AN readers! New customers can receive 50% off on up to 10 meals on their first meal plan order when mentioning this article at checkout in store! For more information, visit cleaneatz.com/location/loc/nashville.